This page covers a wealth of knowledge about Indian art paintings from the ancient past to present.. India has always been known for its varied cultural wealth and has an incredibly strong historical tradition pertaining to it's paintings. 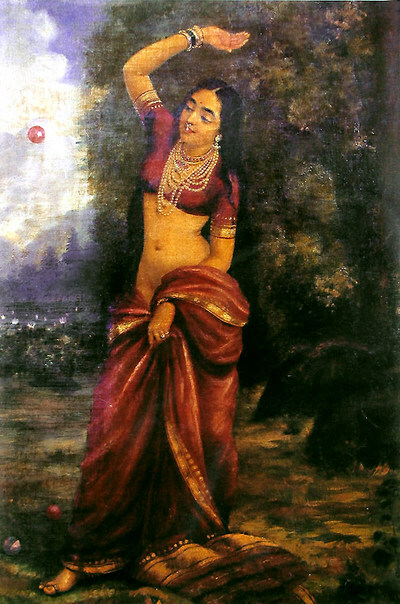 One of the unique things about Indian paintings is that they are usually representative or at least connected to highly significant religious or cultural events. Other than these two main themes it is possible to find pure and eternal love in the paintings of one of the oldest civilizations on earth. The story Indian art painting dates back to over 4 thousand years ago to a period when artists used rocks and stones as their canvases. As time went by, the artists turned towards architecture as a platform for their art and soon magnificent statues and monuments where created. Take the great works of Ajanta and Ellora caves for example, vast areas of rock carved deep into the hill side representing huge temples of enormous religious significance at that time. Around the same time, paper and cloth was beginning to be used as a base for the paintings. It was in this period that this new Indian art form really began it's journey and established a strong foothold in Indian society and the psyche of the Indian people. After the initial emergence of these new types of paintings there was an explosion of new styles of arts all around India and in a way this trend never really stopped. Thousands of years of influence from dramatical diverse cultures, religious practices, landscapes, and ethnicities created one of the most varied collection of different painting styles in the world. Two of the most popular and traditional of these art styles are known simply as Murals and Miniatures. The murals are comprised of large wall paintings on the sides of caves, halls, palaces or temples while the art of miniature painting, which is still a widely practiced and taught art form throughout India are made up of small illustrations on leaves, sheets of ebony, linen or paper. Typical content of both of these art forms usually consisted of scenes of religious or cultural significance. Generations later, eastern paintings were the latest fashion in India and usually consisted of images of the Buddha and his works. The complete works of Gautama Buddha were illustrated and preserved for future generations. 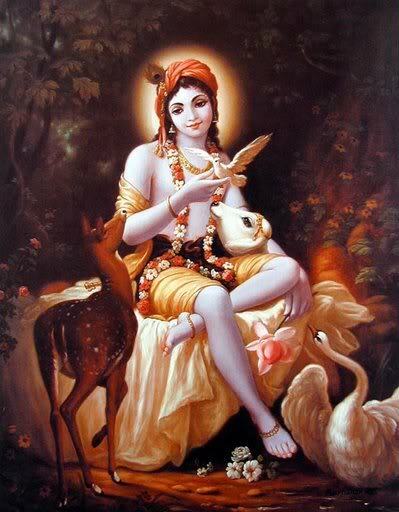 Around the same period as this, western Indian art paintings concentrated on life and works of lord Krishna. Illustrations such as Gitagovindam and various hymns were inscribed on an entire series of miniature paintings. The paintings served as manuals of religious ceremonies and philosophies and thus had a huge role to play for the future generations of Hindus. In time, the kings saw the growing demand and the tremendous interest people had in these fine arts. They established several schools and colleges were established and began some of the first art schools in the world. They set out to teach many art forms to a willing audience meaning that the evolution of Indian would simply never end. One of the the interesting things about Indian paintings is the fact that each emperor who ruled the country had a different choice of art. What this meant was that they each promoted a new style resulting in essentially a new style for each generation of India's people. Surprisingly this is one of the main reasons why Indian art is one of the most diverse and mixed in the world. Originating from in the state of Bihar, these kinds of paintings were patronized by village women who turned their thoughts into art. 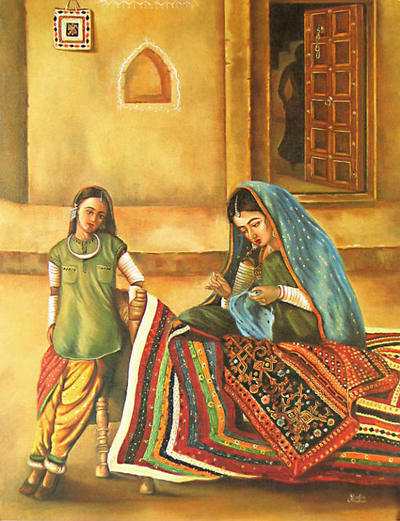 These kinds of paintings became very popular and have become an integral part of the Indian community. This style of art was popularized by the then rulers of India, the Mughals. These were in the time frame of 16th – 19th centuries. The Mughal style of Indian art paintings was primarily focused on Persian and Islamic styles and content. They mastered the work on wildlife, wars, hunting and prevalent social issues. Coming primarily from Rajasthan, this paintings were originally done on cloth with content ranging from religious, marital, royal and various historical scenes along with various figures of great importance such as philosophers and physicians. Originating from Rajastan and Himachal Pradesh respectively, these art froms mainly focused on the lives of lord Krishna and the epics of Mahabharata and Ramayana. Along with these, the Rajput manuscripts had several landscapes portrayed. Similarly, Indian paintings saw an increase in the popularity of Tanjore Paintings. Hailing from Tamilnadu, Tanjore paintings focused on dance and music. The base for Tanjore paintings is primarily wood. 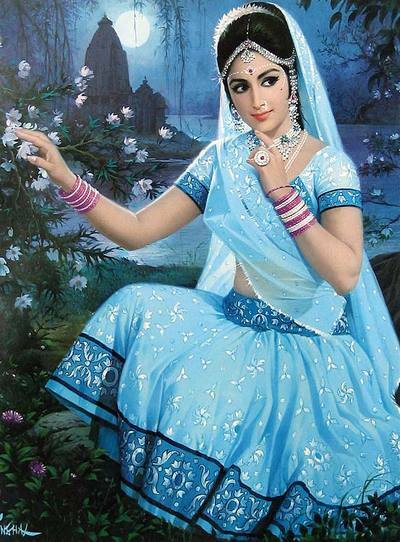 In brief these are the various Indian art paintings. Starting with the ancient Rock art, emergence of Miniature paintings, the splendid Ajanta and Ellora art work, the usage of Oil and Canvas paintings, the various works of Indian art paintings like Madhubani, Mughal, Tanjore paintings, Rajput and the Pahari style are the primary constituents of Indian art paintings.